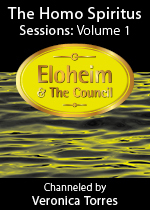 Eloheim and The Council » Browsing Articles tagged with ""
I will say it again, WOW!! The meeting of April 27, 2011 was very unusual for me. It was powerful for many people, but I want to talk about how unusual it was for me. Then Eloheim came in. I just watched Eloheim’s section and it seems light and fun like it typically is. However, that is not what I experienced channeling it. I felt things in my body I have never felt before. When Eloheim stopped the meeting to set the energy (just before the YouTube video starts), I had a very intense buzzing in my chest. They truly were setting and holding a very specific energy for the information they were going to bring in. They were VERY serious about this. I guess I am going to have to teach them how to make a serious face so everyone knows when they are being this serious! The day after the meeting was extremely challenging for me. It took 36 hours to feel like myself again. That hasn’t happened in a long time. Eloheim has asked me to hold off on making further comments about all of this as they want to address it in the next meeting. Eloheim also talked about how to handle the low-vibrational thoughts we still experience and addressed instantaneous manifestation. The Girls followed up on Eloheim’s discussion and talked about vibration and multi-tasking. Fred spoke about the energies of Uranus. The Warrior continued their story focusing on the energetic jumps we are experiencing and how we can lose ourselves in the rapidity of transformation. The Matriarch closed the meeting by talking about the changes in our crown chakras. It’s not WHY is this happening? It’s WOW this is happening! This subtle shift of language facilitates a huge shift in perspective. Experiences are here to facilitate growth, expansion, and transformation. Nothing happens TO you, it all happens FOR you. You create your reality by choosing your reactions to your experiences. Shift your perspective to WOW and then allow for your changed perspective to change your life. 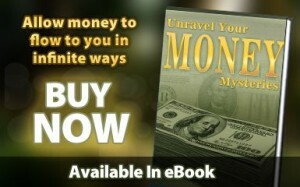 Eloheim’s first book featuring 22 simple but powerful tools for transforming your life! 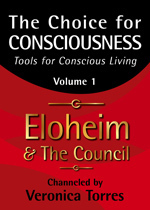 Also includes Eloheim explaining and defining nearly 100 concepts. Some time ago, Eloheim said that the meeting of March 9 would be powerful in some way. Turns out they were right…again! The meeting was an introduction to the energies we will be working with for the next 18 months. The Guardians came in to help us shift the energies which we were ready to release. The Visionaries explained how we have to “draw the line in the sand” about our habitual thoughts and to take a deeper responsibility for the creations that stem from our current thinking. Eloheim spoke at length about the energies of 2012 and how we can work with that portal now. They went on to speak about how we create our current reality from the past and how we can use the new energies to actually create from this moment rather than reconfiguring the past. Eloheim also further clarified the concept of sandpaper people and situations. Am I going to create this moment from the past or am I going to create it from the insight I have about its potential? The Girls offered their support and insight. The Warrior finally told the story of being called in to take care of the dragon. Fred explained the energies of Mars. The Matriarch left us with a reminder that instantaneous manifestation can’t be possible until we have a new relationship to our thoughts. Wednesday’s meeting was long and powerful. Fred, The Visionaries, The Guardians, and the Warrior all caught me by surprise with what they decided to talk about. FRED even made the YouTube video this week. He talked about how a part of our soul hangs out in the rings of Saturn and sings. Trust me, I wasn’t expecting anything like that, but it is very cool and they explained it really well. The Warrior and Cedric took some time to themselves to discuss Cedric getting married. You are going to love the Warrior’s marital advice. I think it will surprise you. The Guardians spoke for a long time (for them) about engaging the heart chakra and the power chakra in a new way. The Visionaries told us that many changes are on the horizon and how to handle them. Eloheim, the Girls, and the Matriarch offered wonderful contributions as well. You can listen to the entire meeting by following the links below. 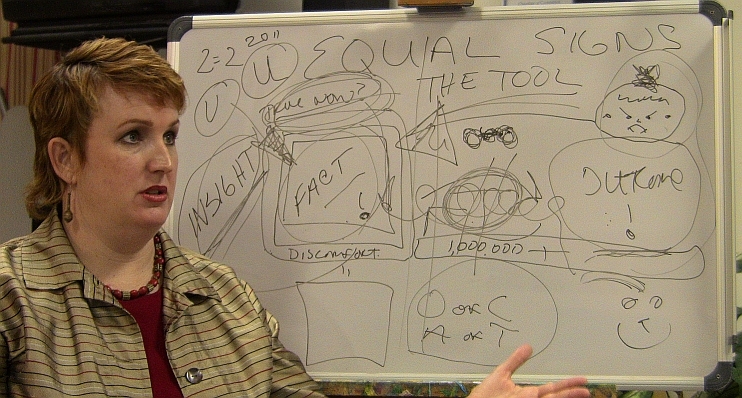 The meeting of February 16, 2011 was a partial whiteboard meeting. Eloheim did an amazing presentation about the tool: Equal Signs. The video clip today is from the end of that presentation when Eloheim was asked about Insight. All of the members of the Council participated in the meeting as well. You can access the entire video or audio of the meeting by following the links below. The book is moving right along. The cover art has been finalized, the content is 98% finalized, and I am doing all the zillion things that need to be done in order to have it offered as an ebook, paperback, and hardcover. Stay tuned! I anticipate having more news very soon. Guardians: Opened the meeting by encouraging us to get out of our brains and centered into the moment. Visionaries: Talked about embedded advertising and how we can be conscious of it and use it as a game to open our awareness. Eloheim: Used the white board to discuss the equal signs tool. The Girls: Encouraged us to recognize that we have become more than we were, and to experience the grander version of ourselves. Warrior: Continued his story of having more children, then discussed worry and how worrying makes you impotent by taking you out of the moment. Fred: Talked about remembering the experience of why we chose to live our lives in the human form. Matriarch: Closed with a message of love and encouragement. The last meeting of 2010 was wonderful. Each of the Council members gave a send off to the new year. Well, aside from The Girls. They basically skipped their section so that we could all hear more about the Warrior’s wedding! The Warrior got married and it was beautiful!!! What a fun meeting! The video clip is Eloheim speaking about the energies of 2011 – The Year of Balance. Happy Balanced New Year to all of you!!! Visionaries: Urged us to practice reclining into uncertainty as much as we can. In doing so, we open ourselves up to a vast array (infinite) of possibilities. They gave us a fun visual to go along with the concept: the bowling alley. Eloheim: Talked about resistance to acknowledging the truth, especially the fear of death. We don’t have to dwell on our fears to acknowledge them, but if we don’t at least acknowledge them they will nag at us in conscious and unconscious ways. Also, with 2011 being the “year of balance,” a discussion of what it means to balance our chakras. The Girls: Came in quickly to say they enjoyed the physical experience of having a mani-pedi with Veronica, and to express their joy at the Warrior’s wedding. Warrior: The Wedding! The Warrior and Marianna marry. Fred: Discussed what the idea of infinite possibilities means. Also made New Year’s resolutions about becoming more comfortable in the body and communicating in human language. Matriarch: Some script-holders reflect our truths to us. The Matriarch suggests that we gaze into our own truths and allow them to be emanated into the world. The meeting of December 22, 2010 was really powerful. I love this video clip from the Visionaries. It is one of those ‘sum up the recent concepts’ type of videos. It really helps when they offer a bit of the big picture in this way. The meeting also included Eloheim speaking at length (this was one of our longest meetings ever) at how possibilities can bring up fear and what to do about it. I found this conversation extremely helpful! Let’s frolic in the field of infinite possibilities!!! Guardians: Opened the meeting by asking us to concentrate on presence, and reminding us to use the “I’m tempted to…” tool to be present with the truth of ourselves. 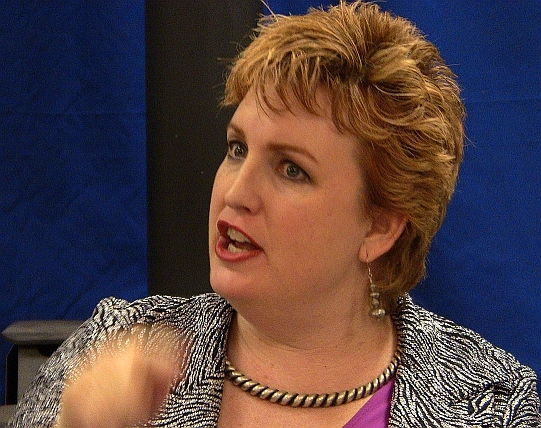 Visionaries: Discussed: What is the truth of you? They walked us through some ways to help us discover our truth in any moment. Eloheim: An in-depth look at last week’s “homework”: When you look at the field of infinite possibilities, what do you think is possible but not possible (for you)? Used answers from the group and other examples to illuminate the concept of being open to possibilities. The Girls: (Want a pedicure!) Explained that the concept of infinite possibilities doesn’t have to center on grand or huge or extravagant things or events, it can focus on small things. Remembering to be kind to yourself while being open to possibilities is a good way to love yourself. Warrior: Continues his tale of going to see the queen, and has new experiences with infinite possibilities, including his betrothal. Fred: Tells us that the entire universe is designed to support our shifting into Homo spiritus, and wants us to feel that the universe supports us souls. Matriarch: Told us that they experience us as present, growing, and complete at the same time. In what way can I serve my children without constantly coming into conflict with what their father thinks is always best for them and without weakening my own position? A great video which goes on to talk about how to emanate your truth and how to model emanating your truth to others. Follow the Read More link for the video and the list of all of the questions which were answered. REMINDER: We hold a Q&A on the third Sunday of each month at 1:00pm Pacific. I have been exploring self love through the healing of an illness over the past year. My recovery process forced me to stop and rest. 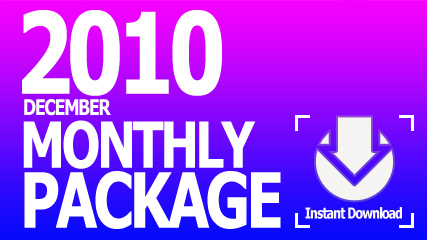 Subsequently, I have had to take over a year off from working. I now feel like I’m ready to look at rejoining the work world among other things. Yet, I feel so awkward and fearful… The questions swimming in my mind are: What kind of a job should I look for? Will a job be there for me? Will the type of job I need be okay for sustaining my health? How do I go about doing this now? I have a question that is really bugging me while at the same time being kind of taboo. I strongly dislike children (and babies), always have, even when I (technically) was one myself. I say technically because I always felt like an adult trapped in a child’s body. No matter how many horrible incidents there were, now I’m an adult and supposed to like them… right? Well, I don’t, and I wonder if this is a past life influence leaking into this life. How can I be the completeness of me with my parents? I am not where I want to be and don’t have what I want and after over a month of being as open as I possibly know how to be, the only clarity I have gotten is that I have even less interest in the 3D life as I did before, which is surprising but not what I would consider helpful. So my Soul is obviously trying to tell me something but I don’t have a fricken clue as to what that might be. So what is my Soul trying to tell me and I know how to slow the process down but how can we speed it up, a lot? My body’s immune system apparently is shot and I’m experiencing a lot of strange virus symptoms, fevers, aches and pains. I know I’ve gone through major shifts this year so I’m trying to accept that I’ve challenged myself. Is there a conscious way I can support myself and my body to come back into balance? I had a question regarding emotion and consciousness; it seems that both of these cannot exist in the same space. Whenever I feel emotional about something, I find it hard to do anything other than be in the moment of that emotion, be it anger, frustration, etc. I am aware in the moment that if i take a step back and try to look at the bigger picture than I will probably feel better, but I find it incredibly hard to do so. It’s as if I prefer to sit in the emotion in an unconscious way. Of course I would very much prefer not to handle it this way, but I am unsure of how to stop the “flow of emotion” to be able to do this. Do you have any insight on this? My question is about my childhood. I have been recently having a lot of dreams that have me as a child in them, but I’m watching myself in third -person in the dreams, and I was wondering if there is any meaning to having so many dreams with that theme. But also, another element about my childhood is that I don’t have a very good memory of it at all, and I’ve always wondered if there was any explanation for that? And do these two things tie together at all? I feel like I’ve been trying “fit in” for so many years -trying to stay under the radar and not have people look at me like I’m strange, different, doesn’t fit in – that kind of thing. I don’t think I really know what being the truth of me really is or means. I feel like I do appreciate what I have in my life but most is not what I would prefer. I would drop probably 95% of it like a hot potato if I could manage to manifest what I would prefer so I guess I am not sure what more to do. Are the Guardians and council I experience outside of me or a part of me?